Pokemon Go fans are counting down to the start of the 2019 Equinox event. The next major Pokemon Go event has a March 19 release date and an 8pm GMT start time. The event runs for one week, ending at the same time on March 26. The Pokemon Go Equinox celebration shifts the focus to Grass-type Pokemon for the duration of the event. This means Pokemon like Oddish, Exeggcute, Sunkern, and Shroomish will all appear more frequently in the wild. And as an extra special bonus, Lunatone and Solrock will switch hemispheres at the start of the event, and remain that way for the foreseeable future. Niantic explains more: “With spring days arriving in the northern hemisphere and autumn quickly approaching in the southern hemisphere, it’s the perfect time to celebrate the coming equinox with some Grass-type Pokemon. The Equinox celebrations will spill over to other areas of the game, including Raids. Grass-type Pokemon will be available to challenge in Raids, so you’d better hurry if you’re yet to challenge Rayquaza. 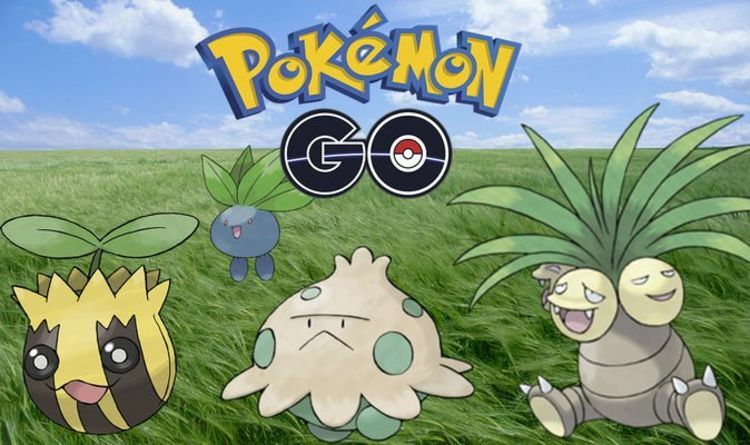 Field Research tasks and rewards will also change for the duration of the event, giving players even more opportunity to encounter Grass-type Pokemon. Elsewhere, Niantic has announced plans to add new moves to the game, including Acid Spray and Leaf Tornado. Acid Spray will be available for Arbok, Victreebel, Tentacruel, Muk, Alolan Muk, Quagsire, Qwilfish, Octillery, and Swalot. Victreebel and Shiftry will be able to learn Leaf Tornado. The Equinox event will be interrupted by the March Community Day. The upcoming Community Day puts the spotlight on Treecko, which is great news if you don’t have a Sceptile. Taking place between 10am and 1pm on March 23, the event will give players the chance to learn an exclusive special move for their Pokemon. As with all Community Day events, lures will last for the full three hours, while egg hatching distances will be greatly reduced.